What could be better than ushering in 2017 in one of Zimbabwe's most beautiful wilderness areas while being hosted by a fantastic team at an awesome safari lodge? 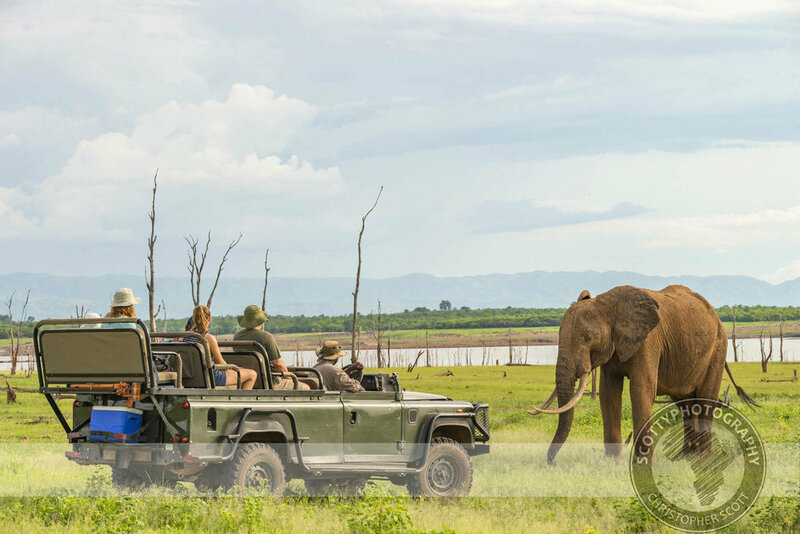 I am fortunate enough to spend a lot of time all over Zimbabwe and the region helping our various tourism friends update their marketing portfolio's throughout the different seasons and on this glorious occasion I found myself in the verdant surrounds of Rhino Safari Camp on the shores of Lake Kariba. The camp is located on its own little haven, Muuyu point (which in the local lingo means Baobab Point) and when the lake is really full it's often cut off from the mainland by the high water and becomes an island. I have done some photography and run some photographic safaris at the camp before so was very excited when I had the opportunity to head back at a different time of the year. The brief was simple, get some stunning marketing images of the camp, its surrounds and activities that will help promote the 'green season'. This didn't prove to be too difficult as the bush was thick, green and vibrant after a good start to the rainy season. 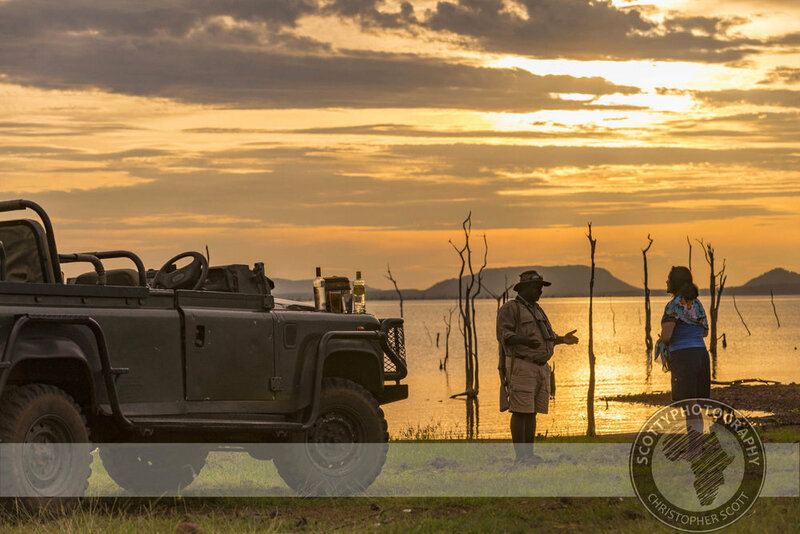 Kariba is synonymous with its 'big sky' which is best seen in the green season when the rain keeps the haze at bay and the cloud formations are at their most stunning. The only slight snag was working around the weather! Being the end of December and in full swing of the heaviest rainy season in a long time it was a constant guessing game as to what we would be able to achieve. However on the plus side the sky always had some great cloud detail in it which adds a certain livliness to the pics. Some wonderfully cooperative models allowed us to get a handful of 'lifestyle' shots around the camp which add an invaluable human element to the marketing pictures. The sheer 'greenness' of the surrounds made it exceptionally easy to showcase how vibrant the camp is in this wonderful season. Even some of the local wildlife played ball and allowed us to get some fantastic game viewing images. Despite the heavy rain and abundance of grazing the game on the island is never far away. The post-sunset 'blue light' provided a moody background to the glowingly warm, inviting atmosphere created by the subtle lighting around the public areas of the camp, with the warm glow of the evening 'bush television' shouting "sit near me"!! On new years' eve with most of the camp staff and guests in tow we headed out onto the wonderfully expansive Kariba foreshore to a spot we had picked out earlier in the day under a towering petrified Mopane tree to setup a romantic bush dinner. The weather seemed perfect for the occasion and the only logistical challenge we faced was how to hang the lanterns in the tree. Initially there was a lot of head scratching as the incredibly hard Mopane tree repelled any attempt to bang in a few temporary nails to hang the lanterns from. After a bit of sweating in the now rapidly descending sun some clever soul had a brainwave, why not use some fishing wire to hoist them up?! If you have a tourism product that you would like photographed feel free to check out our tourism gallery and showreel or contact us for more information.